The news broke that President Obama had accepted General McChrystal’s offer of resignation an hour before I was scheduled to do a live interview on CNN about Mountain2Mountain and our work to create education and opportunity for the women and children of Afghanistan . We watched the news all morning, waiting to hear if the interview would be bumped and engaged in a discussion about how NGOs relate to the US military presence in Afghanistan. We wondered about how the change in leadership will affect us and talked about the important relationship between the military and aid organizations. While we do not work with the military directly, President Obama’s decisions about military leadership and strategies in Afghanistan do have a direct impact on us. We follow the news closely, knowing that our relationship with the military is a symbiotic one; the success of one mission is tied to progress toward the other. Our work with women and children in Afghanistan would be almost impossible without the presence of international security forces. And we believe that our work, and the work of other NGOs in Afghanistan is a direct deterrent to the insurgency. If a family starts to thrive, the village begins to thrive, and that ripples through an entire tribal area and province. Healthy communities are more likely to stand up to threats from the Taliban than those that are teetering on the edge of survival. Today, many are easily manipulated, bullied and coerced into supporting the insurgency. But if we work to provide healthcare, plant crops, repair roads, educate children, and create jobs, local communities will have something valuable to protect from the Taliban. As a non-profit aid organization, we work independently of the military and the government. Our goal is to implement programs and projects that are focused on education, training, and job creation in Afghanistan. We believe that women and girls are world’s most underutilized resource and can be significant agents of change in conflict regions across the globe. But our task is not easy in a country entering its fourth decade of conflict with one of the worst records on the planet for women’s rights and gender equity. It is incredibly difficult to operate safely inside Afghanistan. If the array of countries providing security, training Afghan soldiers and fighting the Taliban insurgency weren’t there, our ability to educate women and girls, train rural midwives, build schools or even travel the country would be severely impaired. Many aid organizations rely on the military to travel safely through Taliban-controlled areas by helicopter or convoy. But the safety of aid workers isn’t the only issue. In many cases, the international forces work directly with the locals to develop leadership from within communities and provide mentorship. One example is at a prison in Maimana in the northern Jawzjan province. Here the Norwegian military has a presence and their local Provincial Reconstruction Team (PRT) helped with the women’s prison we are working with today. In many prisons we’ve visited, women are jailed with their young. The treatment cannot be described as humane. There are not enough clothes or food, and all too often the female prisoners are raped by the prison guards paid to watch over them. Remarkably, the Norwegian PRT came in and worked with the prison commander to address these and other concerns. They built a separate prison building for the women with a small courtyard and separate, clean sleeping facilities. They flew the prison commander and his staff to Norway to visit the open-air prisons and to the United States to learn how other prisons are run and how prisoners could be treated humanely despite being jailed. This work paved the way for our visit. We were received warmly by the Afghan commander and given full access to talk with the women, take photos. Eventually, we were able to set up a kindergarten for the children and a vocational training program for the women. Contrast that with prisons that haven’t had that sort of mentorship the PRT provided. Access is denied, commanders are cagey, and we are often not allowed to speak privately with the women. The relationship is reciprocated as aid organizations help rebuild and create sustainable, functioning communities on the heels of the military. In an article written for Joint Force Quarterly, a military publication, Admiral Mike Mullen said that US efforts in Afghanistan to send a positive message about US military action and development efforts hurt US credibility when they do not coincide with what the populace sees on the ground. He went on to say that the gap between promised and actual improvements harms the credibility of the US message. Aid organizations work to ensure that communities in Afghanistan can see the value of the internationals forces. They help change perceptions based on decades of conflict. Instead of occupier it is possible to become a collaborator, community builder and vital service provider. We can go from enemy to ally. If communities in the areas worst hit by the ravages of war and poverty are given support through health care, education, agricultural development, and reconstruction of roads, bridges and buildings, the Afghan people see a partner with a willingness to help them claw their way back and build healthy, thriving communities. Large development agencies can repair roads, build clinics, and make sweeping structural changes. Small, grassroots organizations like Mountain2Mountain are limited by funding, but tend to operate in a more person-to-person, village-to-village approach. We focus on bringing training to local women to deliver babies, building girls schools, training teachers and creating women’s co-ops that allow widowed women an opportunity at survival in a male-dominated culture. A change in military leadership always presents a few unknowns, but with General Petraeus at the helm it is bound to be a relatively smooth transition. He has overseen the Afghanistan blueprint and is intimately familiar with the region. In Iraq, Gen. Petraeus implemented rules of engagement that reduced civilian casualties, which increased local support. At the same time, these new rules of engagement gave more latitude to local commanders than the current rules in Afghanistan. This allows for faster decision-making on the ground. It is widely viewed that the General’s experience in Iraq will be invaluable in addressing the current strategy in Afghanistan. As an article in the Vancouver Sun stated last weekend, women will be the first casualties of any surrender in Afghanistan. I agree. Our work depends on the international forces not surrendering, not turning their backs on the women and children of Afghanistan. This has happened once already. We must persevere from all sides and work together to make the sustainable, lasting, generational changes that ensure a stable future for both Afghanistan and our own country. So said the headline of the Vancouver Sun this weekend. ”Women’s rights will be the first casualty of surrender in Afghanistan.” The article discusses Canada’s role in Afghanistan and makes the argument that those involved in the international conflict need to look beyond the desire to find the quickest exit strategy and instead take a stand for human rights. This article was written from the Canadian perspective, but you could easily substitute the United States, Sweden, Germany, or England, among the many involved in Afghanistan. “Arguments surface today when we raise our voices about violence against women in other countries. We are told that violations of women’s rights are part of someone else’s culture, and that we have no business interfering. We should just mind our own affairs. The words sent a chill through my spine. This is why I founded Mountain2Mountain. This is why I believe we can all be catalysts for change. 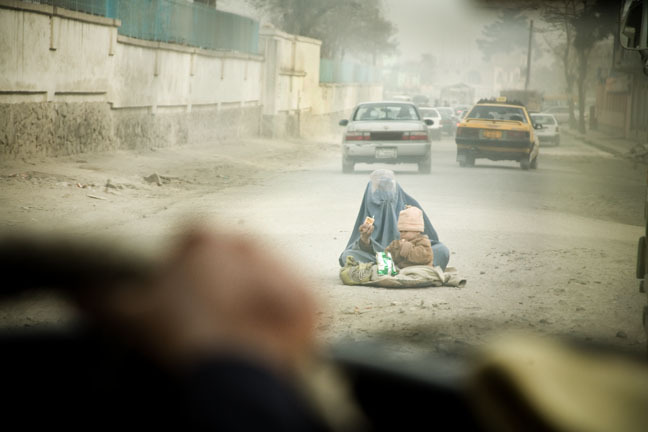 Its why I believe that the women and girls of Afghanistan are the solutions, not the just the victims. We CAN be the change we wish to see in the world. We can insist upon human rights and gender equity for all, regardless of culture or geographic boundary. Not only CAN we. We MUST. You know that feeling between close friends of being truly understood, supported, and valued? Hard to find, and when you do, you realize how much it matters. Even harder to find in a business partner or sponsor. Yet, Mountain2Mountain has just that in our partner, GOAL0. If you haven’t heard of them, you should. They launched this year and are set to be THE source in power source. “GOAL0 delivers dependable access to renewable electric power where there is none.” In short, need power at base camp? Need to keep phones, computers, and cameras charged in war zones? Need to light a medical clinic in a remote Afghan village? Done and done. Oh, and you need to carry it in on your back, bike, or horse? Piece of cake. In short, GOAL0 solved some of our potential security concerns when we are working off the grid in remote areas of Afghanistan. By providing us power and light in areas where there is no access to electricity. They also are providing solutions to light sourcing off the grid for our midwife program. Several months ago, they connected with us, and made me a member of their adventure team, giving M2M an avenue for exposure through their website, blog, packaging, and media outreach. They provided me with equipment to take over to deal with the above power source issues. What more could you ask for in a partner and sponsor? And that’s the difference. GOAL0 was founded by Robert Workman whose own non profit, Tiefe, works in the Congo and was the inspiration and testing ground for portable, renewable, power source equipment. They dream of day with 0 illiteracy, 0 poverty, and 0 hunger. We couldn’t agree more. Thus, a partnership with soul, with on the ground knowledge similar to what we face in Afghanistan, and with the commitment to make use their ‘power’ for good, was born. We are truly honored to be working with GOAL0 and look forward to a bright future, lit by the light of education and the help of the Sherpa Adventure Kit!